Welcome to the home page of the Little Rascals/Our Gang Web Ring! Surf the ring to visit some of the best Our Gang fan sites from around the world! Each web site along the ring displays the web ring banner below. After visiting any site on the ring, you can visit the Next Site, a Random site, one of the Next 5, Skip one, or go back to the Previous site. If you're not familiar with web rings, you might want to visit RingWorld for details. We hope you enjoy the Little Rascals/Our Gang Web Ring! 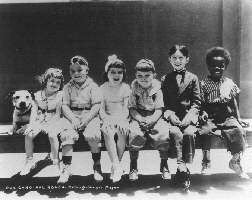 This Little Rascals/Our Gang site owned by patrick@picking.com.